How to wear paperbag high waist pants? This kind of pants, so trendy right now, have a peculiar shape, feature a ruffled and defined waistline and are very feminine and chic. When they are a bit oversized and in bronze metallic faux leather like these ones they can add fun 80s vibes to your outfit. So, how is it best to wear these paperbag waist pants? Surely, with a sweater tucked inside in order to keep the ruffled waistline in evidence. In this outfit, I also added a short colorful leopard print cardigan. Come indossare i pantaloni a sacchetto dalla vita alta? Questo tipo di pantalone, molto di moda adesso, ha una forma particolare, con un punto vita arricciato e definito e sono molto femminili e chic. Quando sono un po' oversize e in ecopelle metallizzata bronzo come questi aggiungono delle vibrazioni anni '80 al vostro outfit. Quindi qual è il modo migliore per indossare questi pantaloni paperbag? Sicuramente con un top infilato dentro in modo da mantenere il punto vita arricciato in evidenza. In questo outfit ho aggiunto anche un cardigan a stampa leopardata in colori vivaci. Very fitted tops or crop tops are the best tops with paperbag waist pants, because these pants have some fabric coming out on the top and therefore this way they are more flattering to our figure. Another fashion trend that is big at the moment is the hiking boots trend, and these ones are the perfect pair because they look a bit like hiking boots especially on the shoelaces side but are also more elegant. My small Balenciaga bag and leopard print sunglasses completed my comfortable street style look. Do you have a pair of paperbag waist pants? Top molto stretti o corti sono i migliori top da indossare con i pantaloni a sacchetto, perché hanno del tessuto che sporge e in questo modo sono esaltano meglio la figura. Un altro trend che sta andando molto è quello degli scarponcini da montagna e questi sono il paio perfetto perché, pur assomigliando a scarponcini da trekking per quanto riguarda l'allacciatura, sono più eleganti. La mia piccola borsa Balenciaga e occhiali da sole leopardati hanno completato il mio comodo look street style. Voi avete un paio di pantaloni paperbag nell'armadio? Molto belli questi pantaloni. 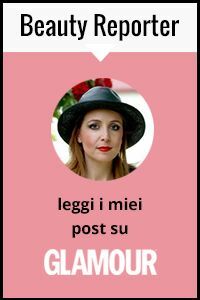 Come sempre hai creato un look meravigliso. Buon weekend! I love this trend and I think they look amazing on you! Thanks for sharing your advice! Questi pantaloni sono bellissimi e mi piacciono molto abbinati al cardigan... Buona serata! You wear those pants so well, what a fun statement piece! I really like your adorable little Balenciaga mini bag too! Fabulous pants! This is actually the first that I've seen paperbag high waist pants; they look so stylish! Un pantalone davvero molto particolare! Bellissimo il colore e l'abbinamento con il cardigan, mi piace molto!! I love the way you paired the pants with the cardigan! It's a fun way to wear them and also, I find this type of pants really versatile. I also like that you matched the print on the blouse with the print on the sunglasses. Non sono assolutamente facili da portare questi pantaloni ma devo ammettere che su di te fanno una gran bella figura, sicuramente il fatto di mettere dentro il top aiuta a sottolineare il punto vita e a creare un bel'effetto affusolato! Bella vale! The pants is very cool. Those pants are so fabulous Vale. I love the color and shine especially! Love these fun pants! Wish they looked good on me like they do on you! Love the pants dear, such a cool look. Perfect shoes to pair it with too. This is a cool outfit look. Seems very comfortable and stylish..